Sat. 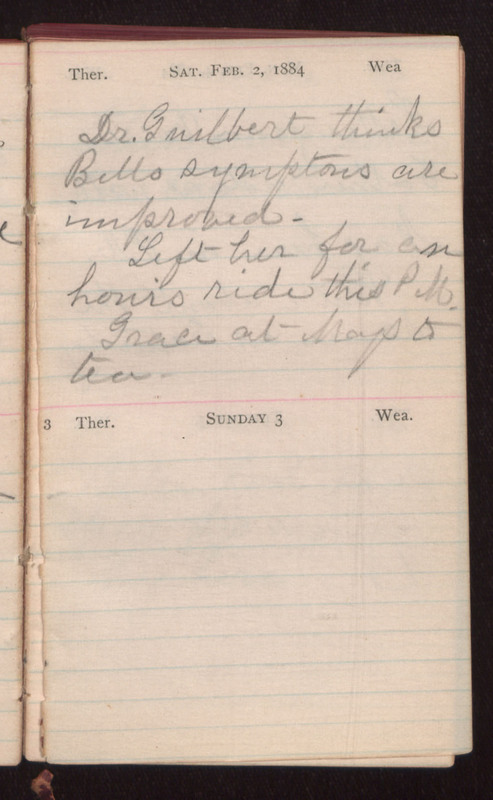 Feb. 2, 1884 Dr. Guilbert thinks Bells symptoms are improved. Left her for an hour's ride this PM. Grace at Mays to tea.